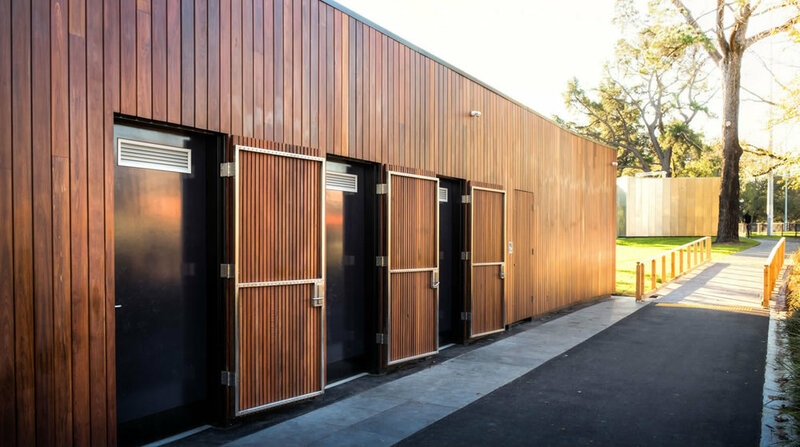 These facility buildings at St Kilda have been designed to provide a sustainable community hub, with change rooms and a community kitchen, a multi-purpose space to cater for a variety of sporting and community events. The two pavilion buildings have been carefully shaped to avoid the removal of a number of mature elm trees and to preserve a heritage path which runs across the parkland. Retaining mature and healthy trees is important for bio-diversity. 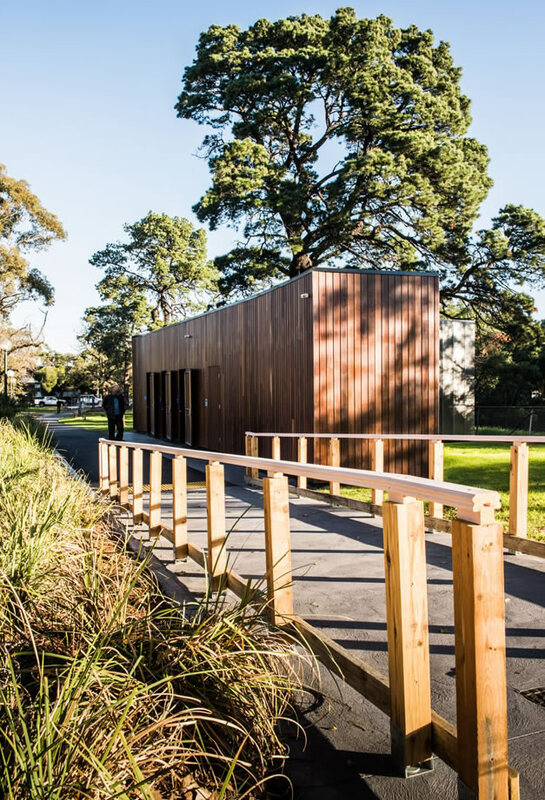 Mirrored cladding was used on that portion of the building which is shaped by the tree’s protection zone, the rest is clad in a sustainably sourced natural timber façade. 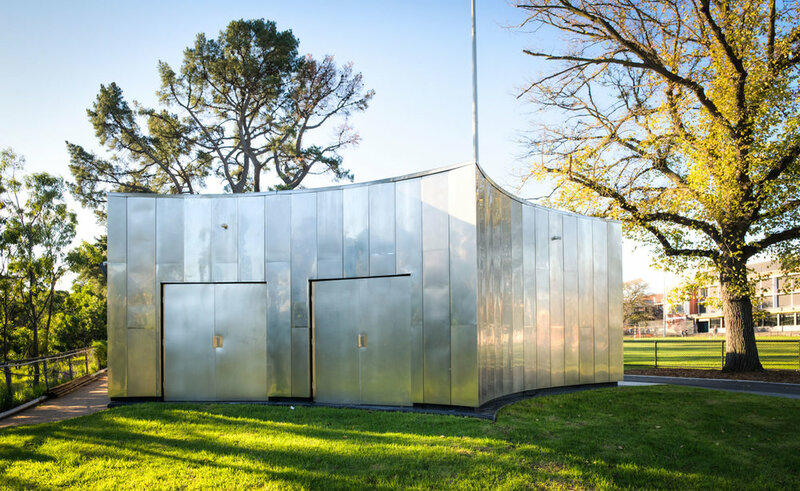 These combine to recognise this building’s place within the cultural significance of Alma Park. Energy consumption is minimised. Natural daylight is maximised through the use of skylights, and artificial lighting control is through motion and daylight sensors. A water collection system has been incorporated for water reuse and water efficient fixtures are incorporated throughout. 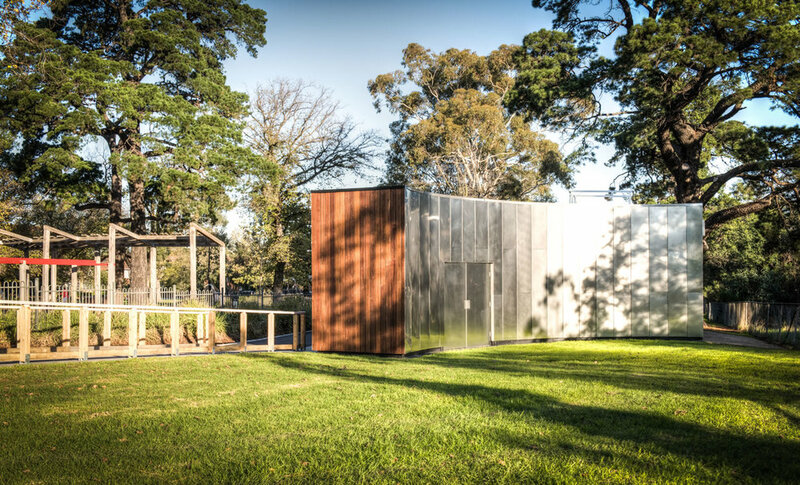 Material was selected to provide a low-maintenance finish to withstand public use. Concrete includes recycled content to reduce the embodied energy within the material. The structural slab system has a minimal impact on adjacent old growth trees.